I had a chance to head to Los Angeles this past week for an opportunity to take part in a holiday commercial for my employer. They had originally put out a request for employees to participate that received hundreds of responses, of which they picked 200 to fly into our corporate campus to do a video interview. From there, they picked 30 employees for the trip to California. The flight in was comfortable and the September weather in Los Angeles was amazing, coming from Ohio. Although I was only going to be in town 2 days, and working most of the 2nd day, I made sure to get out into the Burbank area surrounding the hotel I was put in. Monday came quicker than I expected, which meant lots of preparation before going into the stage area. There were wardrobe and make-up trailers to be gone through, forms to be filled out and directions to be given. Eventually, I was taken into stage 6. 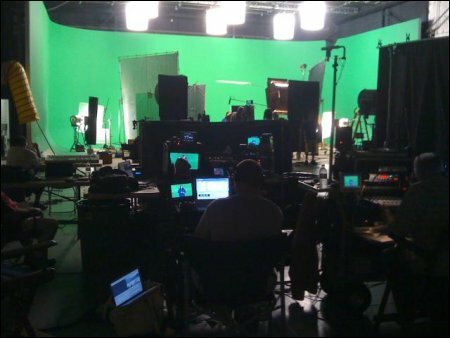 The technology on the set was fascinating, with wires and monitors everywhere. Having a black and white uniform, with its stark and contrasting colors, meant that the lighting crew had to spend extra time trying to get the light and shadows in the area just right so that everything would look its best. However, the crew was polite and patient, so things went pretty smoothly and comfortably. 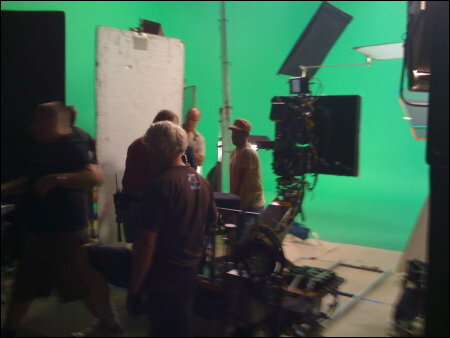 Once they were ready, I spent the better part of the next hour and a half standing in front of the green screen answering questions about my job for the director and following his directions on where to look and speak. 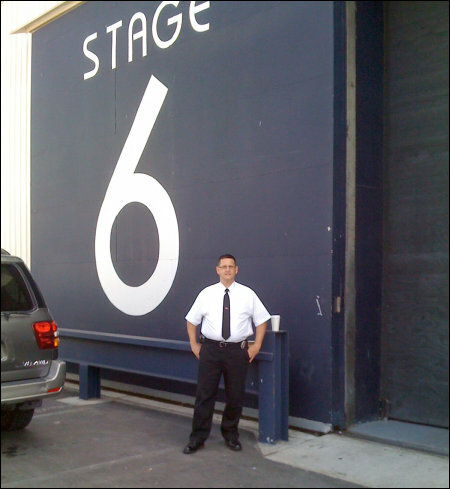 It flew by, though, and before I knew it, I was back in the trailer where the other employees to be filmed that day were. Although I have no idea if anything I filmed will make it into the holiday commercials, I’m still extremely glad I had the opportunity to participate.